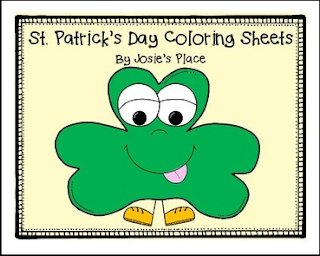 Enjoy these free St. Patrick's Day Coloring Sheets! If you love the Shamrocks and would like to use them in your products, you can grab them HERE! NO PREP March Language Arts and Math Printables geared for grades 1-3! Click on the green star above to follow for more FREEBIES. Check out my store for EDITABLE organizational items and engaging activities and products great for grades K-3!